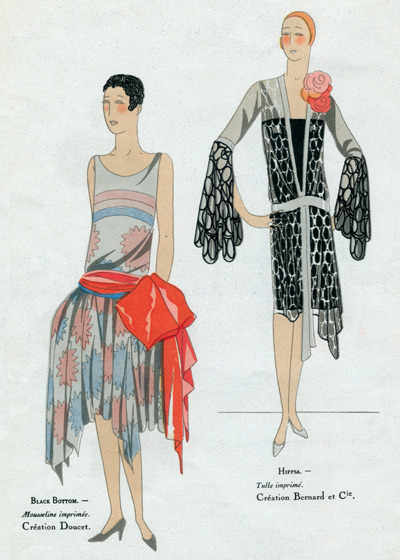 This illustration of two women appareled for the dance appeared in a 1927 edition a very 'haute couture' publication entitled 'Art et Beaute' published in Paris and New York. The plates were colored by pochoir, many of them tipped-in. (left) Black Bottom Printed Mousseline (chiffon) Creation Doucet (right) Hippsa Printed tulle. Creation Bernard et Cie.